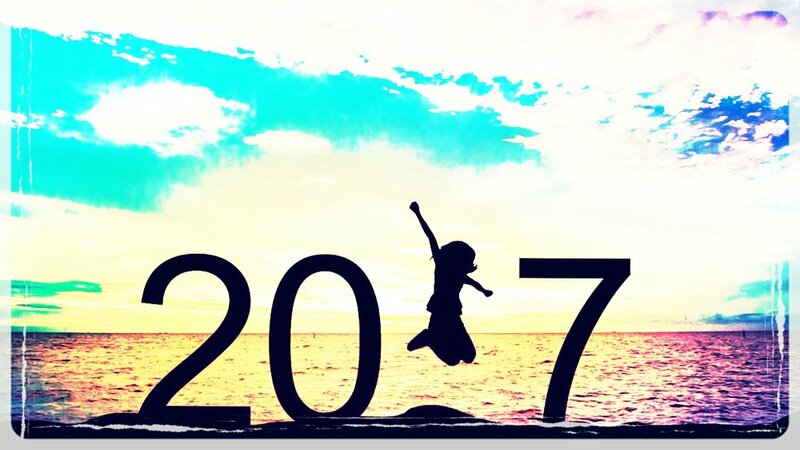 I'd like to FULLY welcome you to 2017!!! Now that the holidays have settled down, the kids are back in school and we're truly in the new year, it's time for me to share this with you. I tend to sit on ideas, ponder them and quite frankly explore them as thoroughly as possible before making a decision and taking action. Have you ever done this? Well, I've had the intuitive nudge for a while that things have needed to be revamped in my business. And 2016 naturally brought about many of those changes. I am here now to share with you some more details about these shifts. Because they will impact you - maybe positively, maybe negatively, but either way they will impact you and our relationship. Note: I also reserve the right to grow some more and even change my mind - this is also a healthy thing! Smiles. 1) My available time for Private Sessions with people outside of Align & Thrive™ will be reduced. I've been offering Private Sessions 3-days/week. Now with all of the courses, events and mentoring I will be reducing this to 2-days/week. I continue to absolutely LOVE the 1:1 time that I get with you all AND I want to make sure that I have time to truly focus on our Mentoring Students as it is one of the most transformational journeys ever. I want to make sure I am being realistic with my time and energy around all the things going on as I have had the tendency to over commit myself to things and then not have enough to go around. This is one of the things I am shifting this year in order to be in alignment. 2) All Private Sessions will be done via distance. As much as I have enjoyed creating a loving, healing space for people to come in-person, it isn't aligned for me right now. I LOVED being able to travel in 2016 and able to connect with clients no matter where I was (Austin, Portland, DC, Rocky Mountains, etc.). And 2017 is looking to be lots of travel as well so we're going to keep on keeping on with meeting in our Zoom Healing Room. 3) Prices for Private Sessions will be increasing. Even though my rates have shifted pretty greatly over the years (of you have been with me since the beginning you know this - I started out way below where I should have), this new rate allows me to be fully present with you and is still below the average going rate compared to my colleagues for all I provide in my Sessions with you. Plus, with all of the Sessions now online, every sessions now includes a recording of your session so you can refer back to it and take notes! This way you can be fully present in receiving the healing and allowing the energies to do their thing. It has been posted on the website for quite a few months now, but I haven't charged it yet. This will go in effect 1/20/17. New rate: $150 for 60-mins sessions, $225 for 90-mins sessions (required for all new clients). Want more bang for your buck? Join Align & Thrive™: VIP's Energy Alignment Mentoring Program and get lifetime access to ALL of the tools on how your can heal yourself, your life (even business), learn about all things energy and weekly calls, classes and readings, and full support in our Facebook group where you get direct access to me for less than the price of one 90-mins session/mo you can get ALL of this for life! There's no beating it! Truly! Doors were scheduled to close tomorrow 1/11/17, but will now close on 1/15/17 so head on over there to read all about it now! 4) Healing Exchanges are currently online only right now. If or when a new in-person space reveals itself we will let you know. Until then join us for our monthly online Healing Exchanges. This also allows for people all over the world to be able to join us and for that we are super stoked! It has been so wonderful having people from all over in the Healing Exchanges! These will continue to be our free event and gifts to you! For those who would feel more comfortable donating for this event, we'll have the link available where you will be able to donate. We don't want anyone feeling indebted as that is actually harmful to the healing process. 5) We're adding another Reiki Class! We're keeping the Spring and Fall Reiki Weekends, and we're adding a Live Online 10-week Reiki Course. This is for those who would like to learn Reiki over time, are unable to come in person for a weekend, or just prefer to do learning online with everything going on in their life right now. We will start the beginning of April! Registration will be open for it soon! So keep your eyes open! Okay! Whew! That's all for now... More will come, I'm sure as things are already starting to percolate. Smiles. Until then, I wish you all the courage to make the necessary changes and adjustments in your life in order to align with your Soul. It's not easy and our ego uses fear to hold us back from living an aligned life. But trust me VIP, leaning into it and feeling the fear and doing it any way is one of THE MOST REWARDING things ever! VIP wouldn't be here without it. We became an official business 5 years ago on January 19th, 2012. And without the help, support and guidance of my Soul, my Spirit Guides and the earthly messengers we wouldn't be here today! May this model the courage for you to take that next step, whatever it may be. Know that you are so loved and as always, #TheUniverseHasYourBack. Thank you for being such an incredible Being and a part of our community. We are so blessed to be able to work with you! And we're looking forward to a magical year ahead! Cheers to a soul aligned 2017!